The Salford Red Devils Foundation are pleased to announce that they will be hosting a Rugby League Match Officials course at the AJ Bell Stadium through their pioneering ‘Big Hits’ programme. The course will take place on the 21st and 22nd of September and is open to anybody who wishes to attend and successful participants will gain a level two match officials qualification, which allows them to take charge of community rugby league games. Match Officials are a crucial part of the game and the Salford Red Devils Foundation are committed to supporting development of referees and officials. 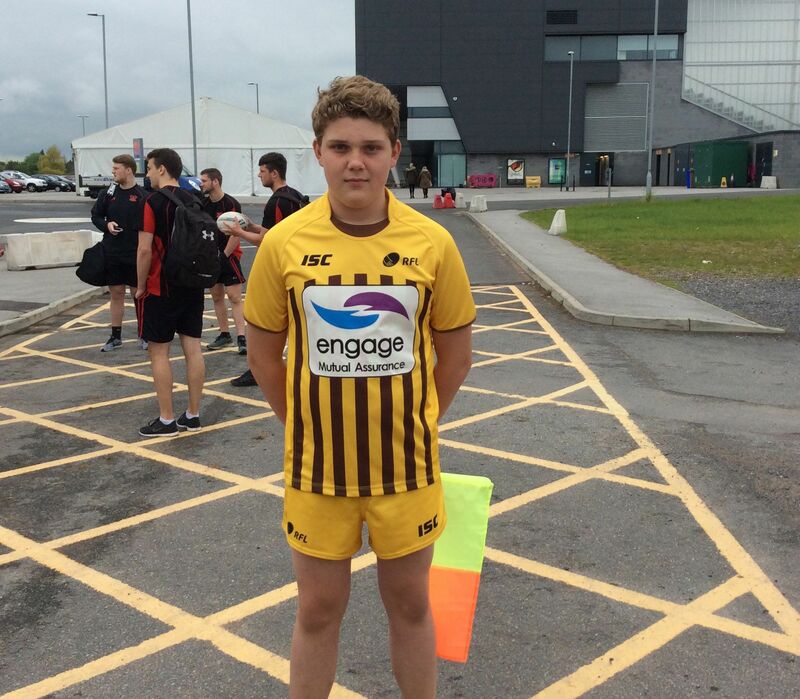 The Foundation have seen a recent example of success in the form of 14 year Brody Partington, who completed his level 2 Match Officials qualification as part of the Foundations Big Hits programme. The Walkden High School Student has since gone on to officiate at a number of school and community games, including the Salford Champion Schools Finals, which were held at the AJ Bell Stadium. “Obviously the game of Rugby League can’t function without Match Officials, and here at the Foundation we’re pleased to be able to offer people the chance to take up refereeing, and hopefully we help to develop the next generation of Officials." Anyone interest in taking the course should email neil.blackburn@reddevilsrugby.co.uk or can book their place by clicking here.